You might be saying to yourself, "What is phonological awareness, anyway? 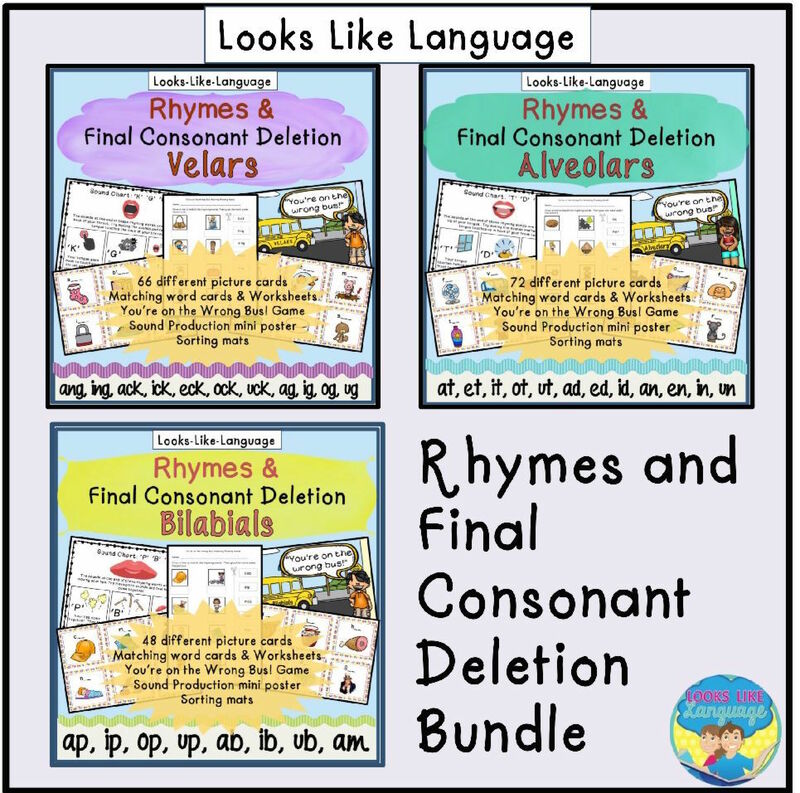 What happened to phonics instruction?" 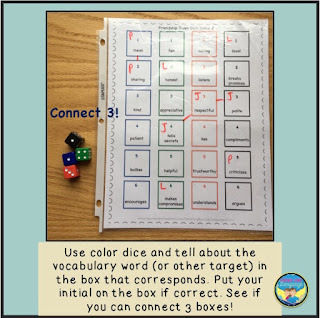 Well, phonics instruction still exists, but your kids will be a lot better prepared for it if you have fun with sounds in play before they get to school age! 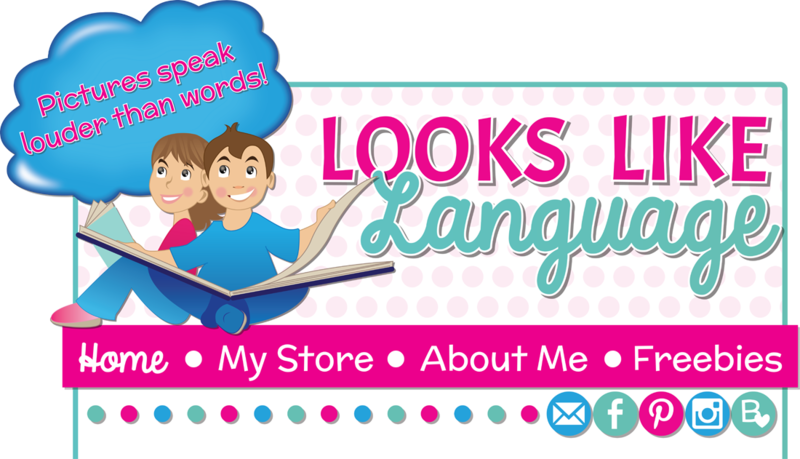 Phonemes are the sounds, not the letters of the alphabet, that make up a language. 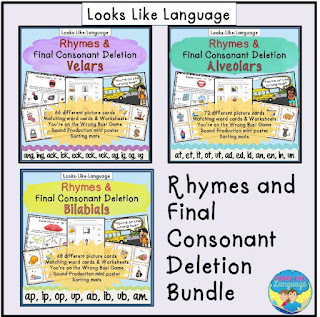 Children need a lot of practice listening to and playing with the sounds of our language before they are ready to attach them to the alphabet and written language. 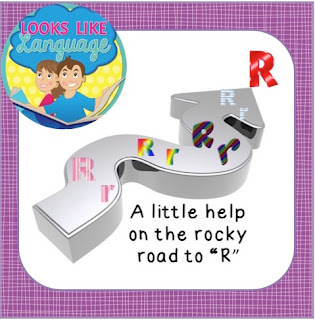 If your child has difficulty pronouncing a sound, playing games to build skills for listening and identifying the sound can be helpful in learning to say the sound more clearly! So, what are you waiting for? 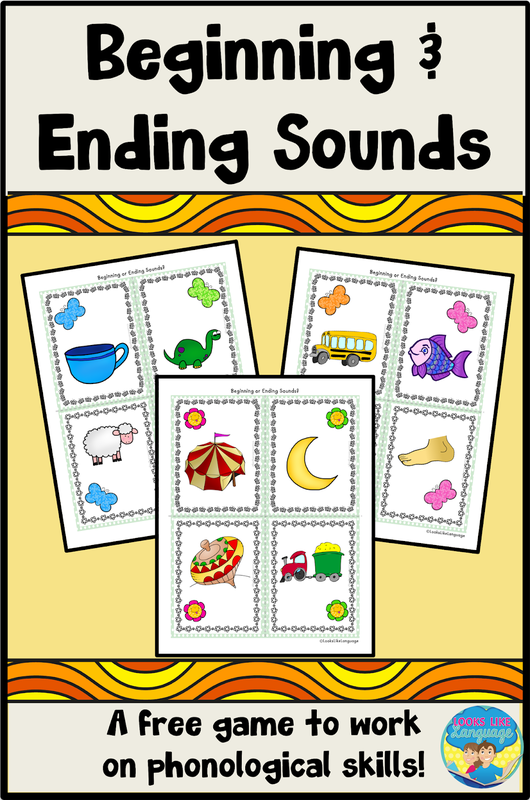 Download the free Beginning and Ending Sounds Activity and get started! If you missed the prior weeks, get started with the first download here. 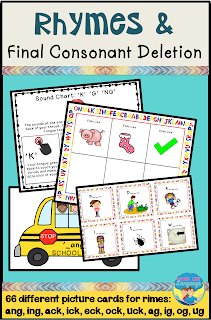 If this got you curious, you can read more about the difference between phonological awareness, phonemic awareness and phonics at my friend Sarah's blog, Speech is Beautiful! 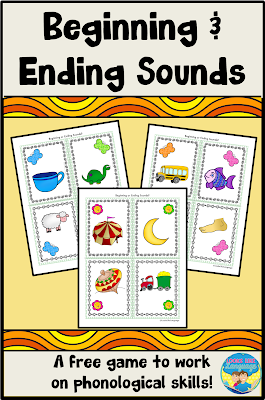 Have fun practicing the phonological processes of initial or final sound omissions, work on phonological awareness skills, or just have fun being creative and let your students find ways that the pictures are the same or different! 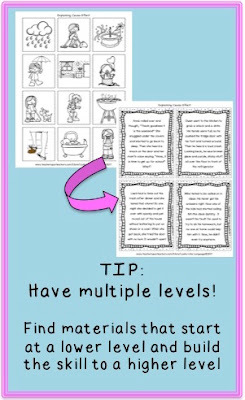 There are so many ways to make use of this free download! 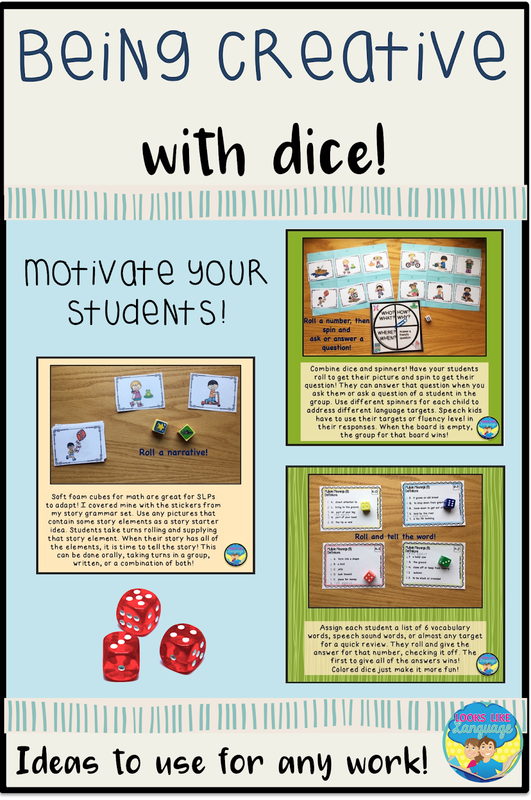 This month, my newsletter followers are getting a bonus open ended game board. 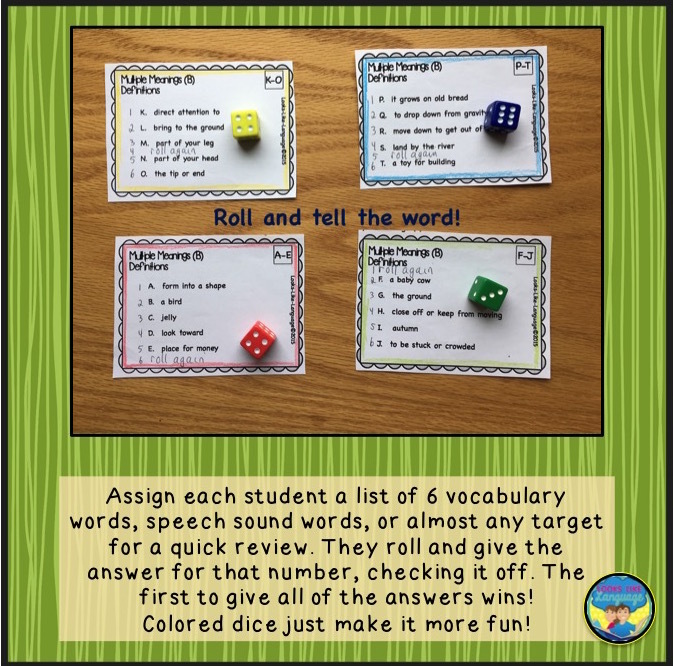 Open ended activities are so useful when you have make up sessions to do and have to group kids with a hodgepodge of goals! Download the first week's set here. 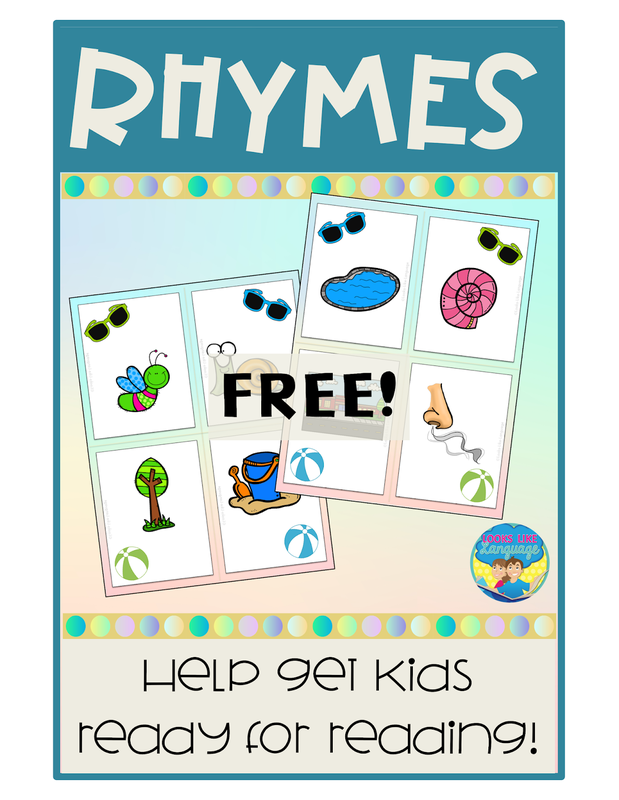 Do you need some more fun sound practice for articulation and phonology skills? 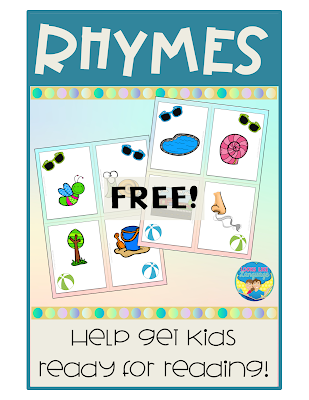 Check out Speech Therapy Games and Activities for Final Consonants & Rhymes. 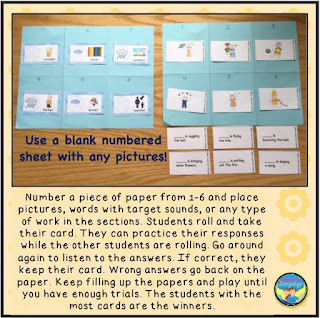 There are many pictures, sorting mats, worksheets and a fun game to keep your students practicing over and over again! One buyer said, "What a brilliant idea! The kids enjoy it!" And I'm sure yours will, too! 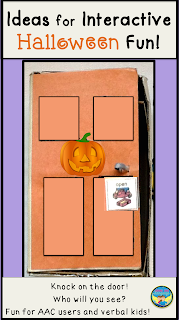 Halloween is such a fun holiday! Your students can have a blast learning with just a bit of effort on your part if you make these enjoyable interactive therapy materials that cost you almost nothing! Thrilling, you might say? 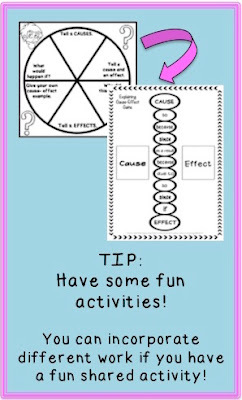 Well, I was certainly thrilled that my students loved these activities so much that I didn't have too much planning to do! 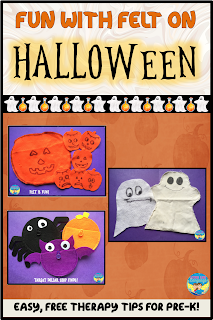 And if you landed here by accident, scroll down to the bottom for some Halloween ideas on video! 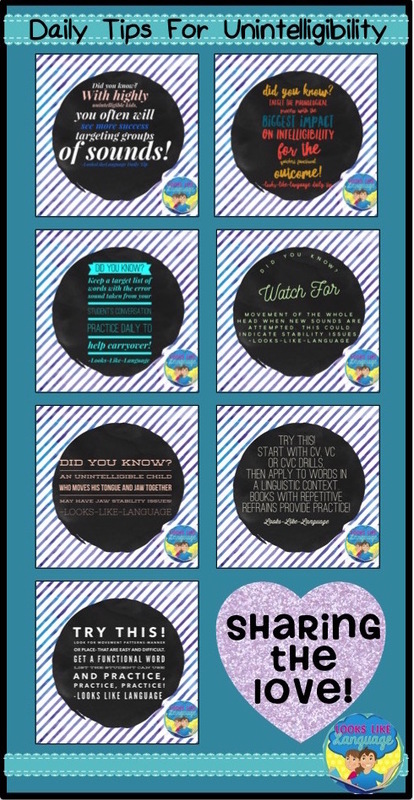 Last year this time, my blog was still so new that these fun activities got hardly any exposure, and they truly deserve better than that! 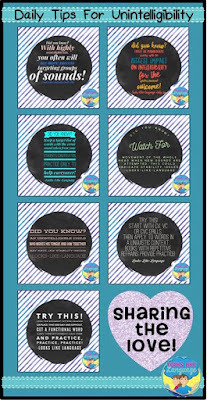 So, I am recapping each activity here, from youngest to oldest ages, with a link to the full posts. 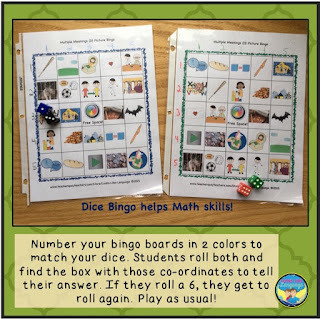 My students have had so much fun with these activities, I'm quite sure that yours will, too! 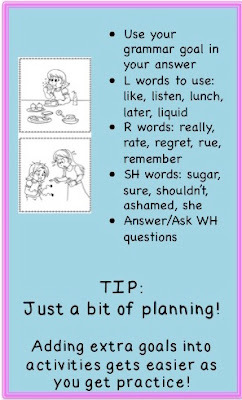 Our youngest and most limited students often need help learning the language for routines. What better way to help them than play? 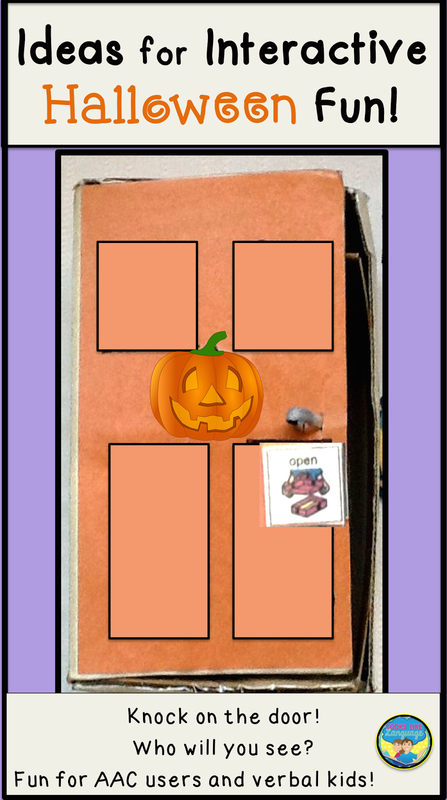 Just a shoebox, construction paper and some stickers can help you create great Halloween interactive fun. You can use this over and over all month long! Click here. 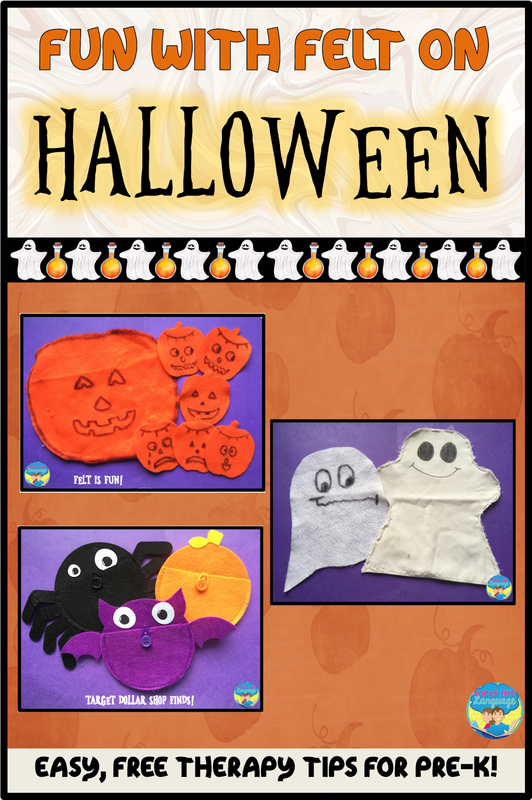 A bit of colored felt, glue and markers can add a lot to any Halloween toys that you own! Puppets are so helpful to get shy students talking. Putting anything into a container gives that element of surprise that kids love, almost like opening a present! 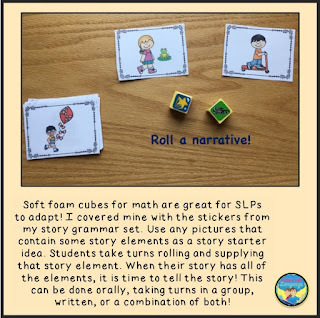 Give yourself a little present and check out this speech/language therapy idea here! Older students like to have fun, too! 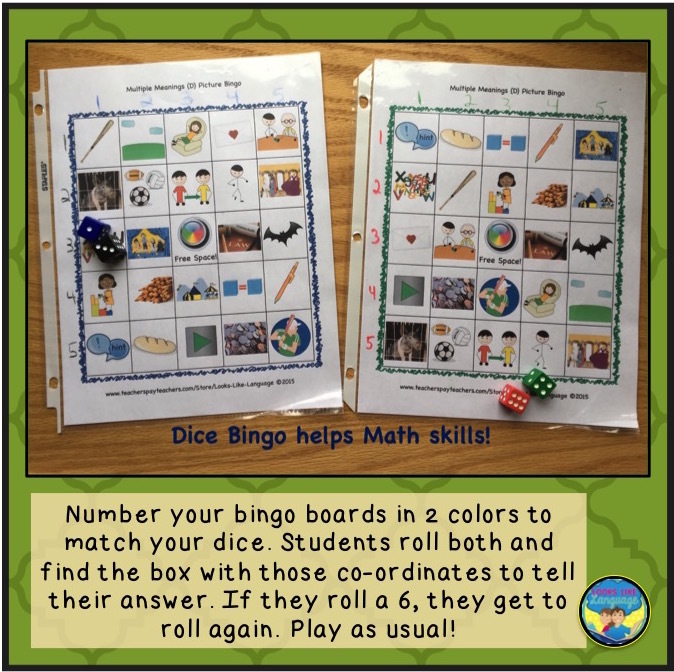 Get a little gaming and movement into your therapy sessions with this easy to make bingo variation. 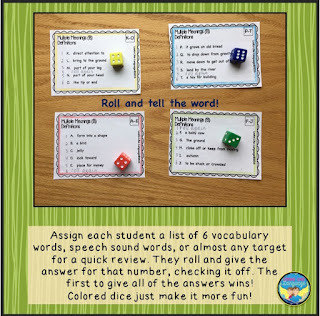 I've used it to work on inference skills, but you can do so much more to adapt it to your group's goals! Learn about it here. Update: I just had to share my latest Target find since it may still be available near you! 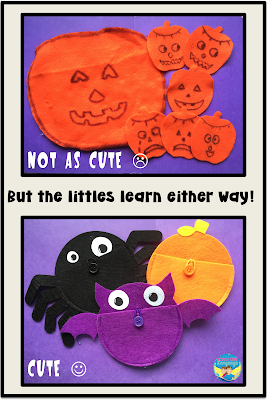 While it is true that our hand made materials get kids talking just as well as the 'pretty' ones, we do like to treat ourselves a little and these are just darn cute! I love the button feature- you can reinforce those fine motor skills while having the fun of hiding something inside one of them! 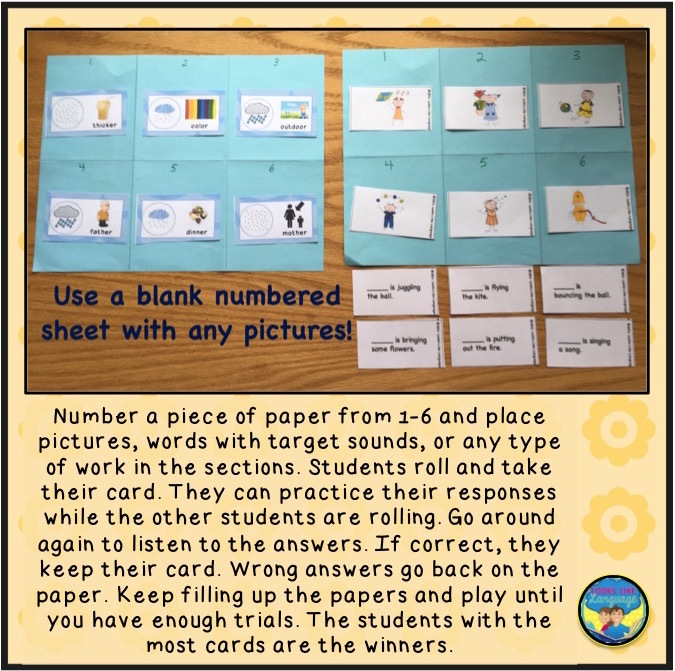 Have your students request each one until they find where the prize was hidden! 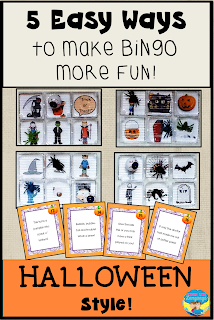 Be sure to check out the links to my free Halloween downloads! 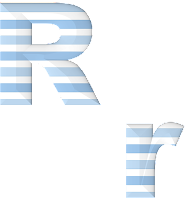 You can access all of the links here. 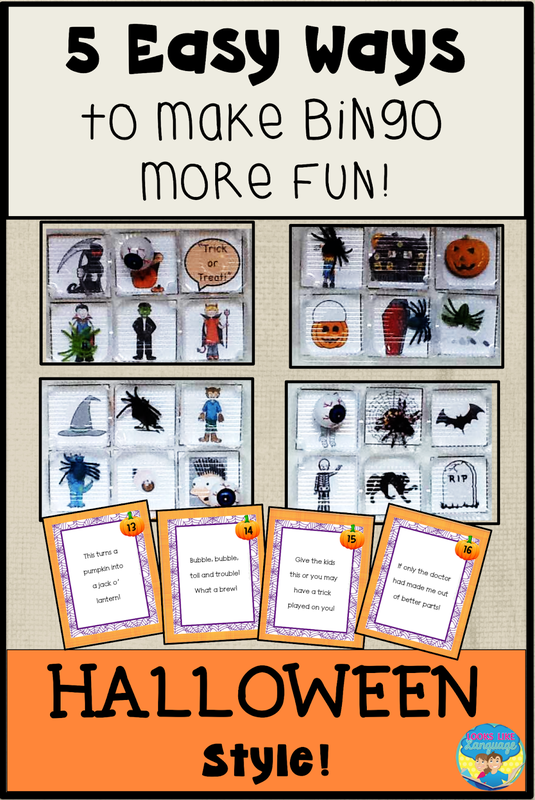 How about some thrilling, easy to do Halloween decorations? 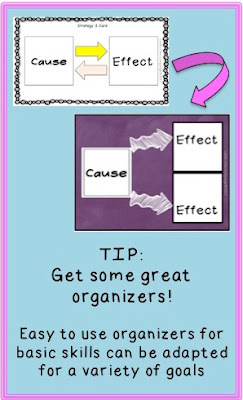 Or maybe you'd like these fun tricks for setting up a party! 5 Dollar Store Must-Haves for SLPs! 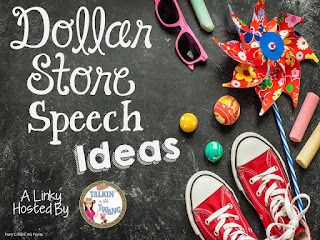 Shopping at the dollar store has made my SLP life so much easier! 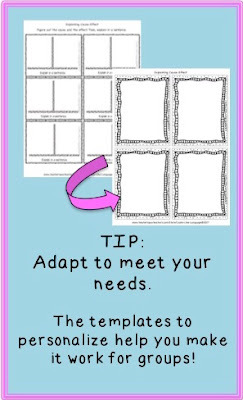 Thanks to Talkin’ With Twang for this linky idea! I posted here about how much I like using page protectors. While I buy them online, I really the pretty colors of the $1 binders and I love how easily they fit on a shelf or in a filing cabinet. 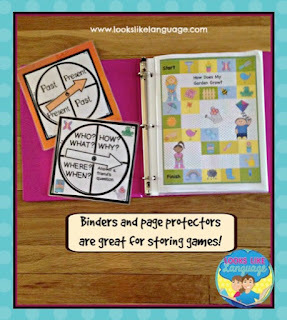 Pop your TpT product pages in a page protector with the game and spinners in a separate one. 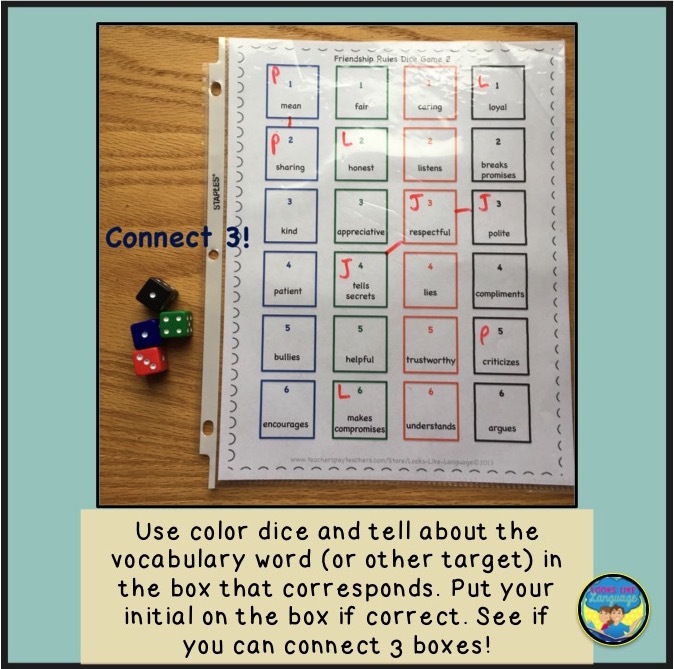 Store the game cards in a plastic zip bag and stick them in with the game. 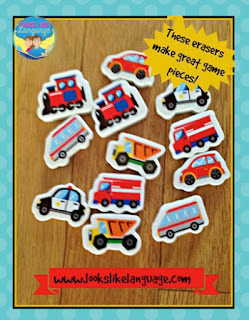 Put all of this in a binder, along with similar materials, and you are ready to grab it and go! See how easy? 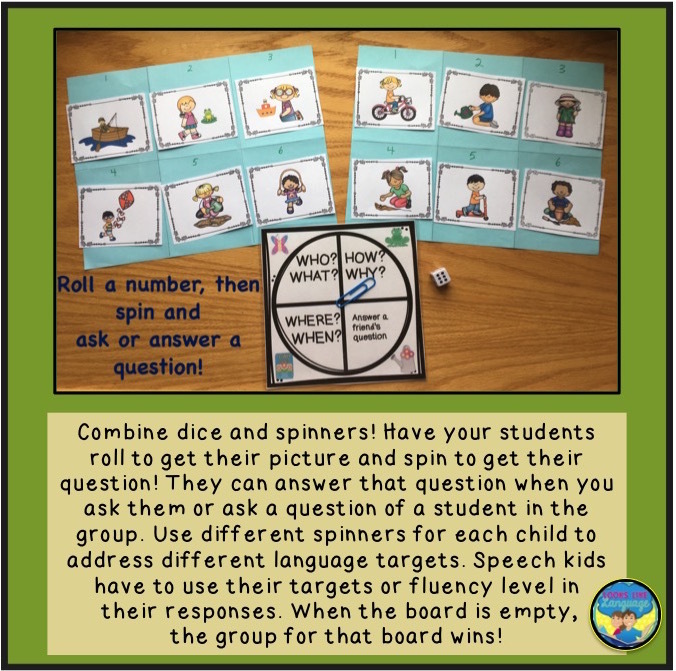 Pictured is the game board from my Talk About SH- Spring packet. 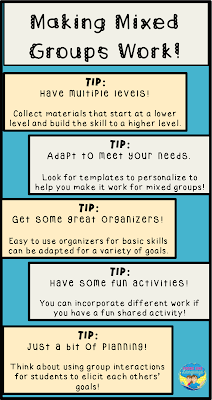 I love having basic supplies that I need for every session within easy reach. 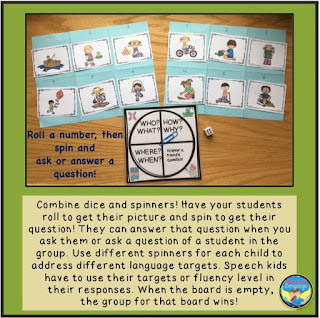 A cute basket can hold whatever you need on your table and make it easy for students to pass around. 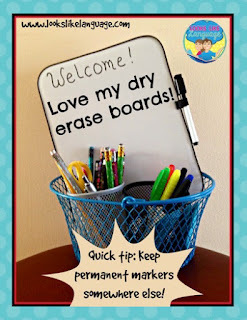 My go-to items include a small dry erase board, varied colors of dry erase markers so students have choices, small make-up sponges for erasers, and of course, the basic pens, pencils, erasers and scissors in a cup. All of the containers came from the Dollar Store. TIP: Be sure to keep your permanent markers stored somewhere else! If a student uses the wrong marker, just write over the permanent marker and erase while wet. After few tries, the permanent marker will erase. Don’t we deserve a treat, too? 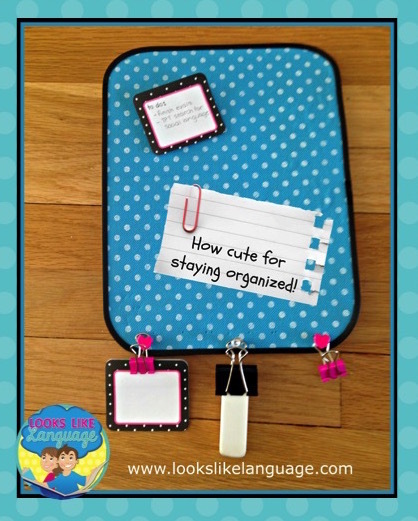 I couldn’t resist this cute little colored cork board to keep my To Do items on. It is small, so I can hang it up right near me while I work. That way, at the end of the day, my notes of what I need to get out, copy or prepare before the next session will be in one spot. 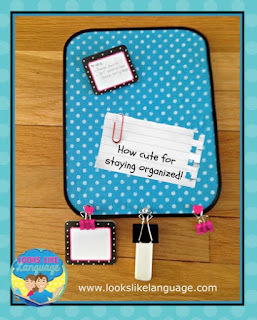 The binder clips are cute for hanging small items that get lost easily, too! I was so excited to find this 100 day poster! 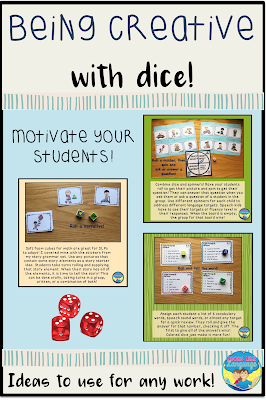 My students love big board games and this fits the bill! 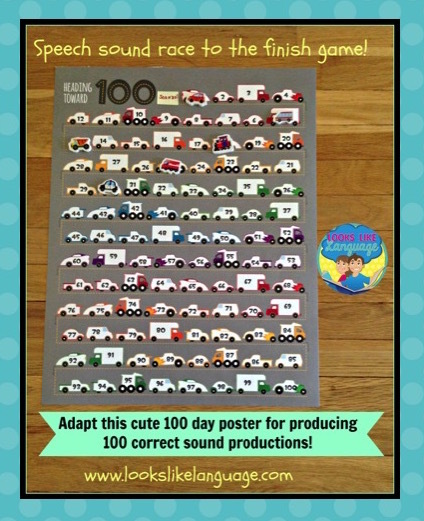 Just change ‘days’ to ‘sounds’ and your students can race their way to 100 productions! I’d play to let them keep moving their cute little vehicles (Dollar Store erasers!) on space for every correct sound production at whatever level they are working on. 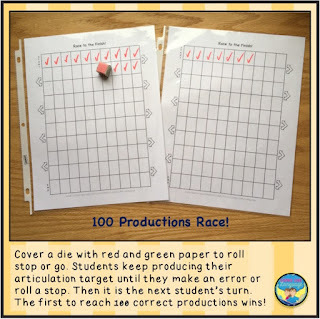 When they make a mistake, they have to stop there for the next student to take a turn. Can anyone make it to 100 before time is out? 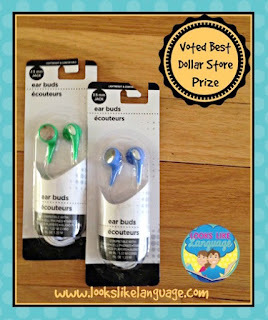 While I have tried many prizes from the Dollar Store, these are the all time favorite with my older kids. 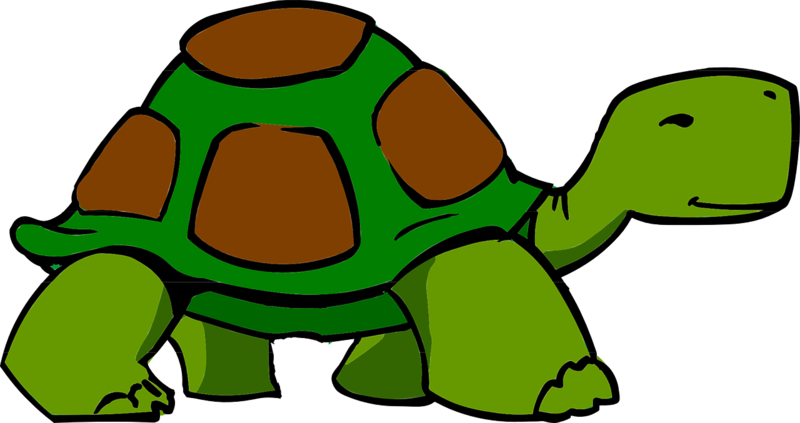 They come in varied colors, with some even having their own carrying case. I only give out prizes about once a quarter, and with my caseload, it is very much worth the money I’ve spent to have a daily point system that lets them work toward a prize! I’m sure you’ve shopped there, too! 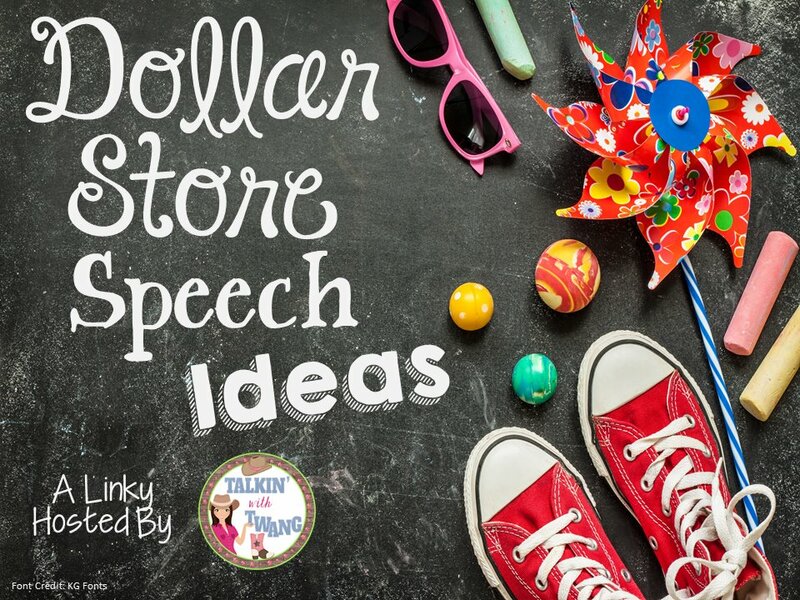 Do you agree that it should be named the Ten Dollar Store? Maybe more? What is your favorite purchase? 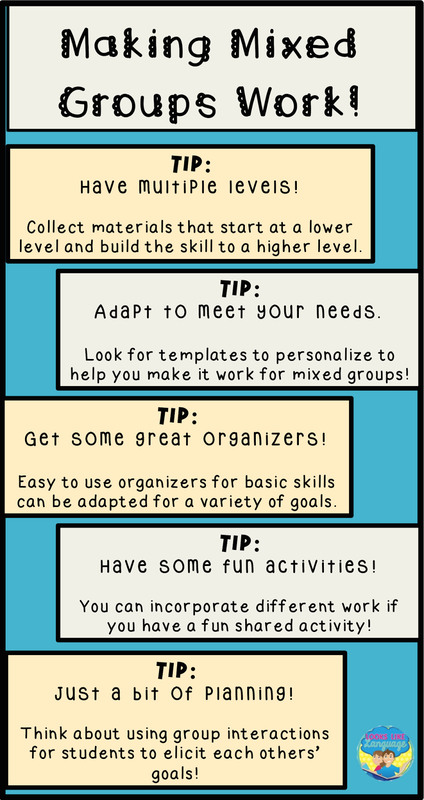 For more ideas, remember to stop back in to Talkin’ With Twang!